An absence seizure, often referred to as petit mal seizure, is a non-convulsive seizure that is often not recognized as a seizure at all. Absence seizures usually occur in children who have epilepsy, but adults can have them, as well. While absence seizures are not as disruptive or obvious as convulsive seizures, they cause impairment of consciousness and can interfere with learning, driving, and other aspects of life. Diagnostic tests can confirm that a person is having an absence seizure, and effective medical treatments can help reduce their frequency, Loved ones can learn to recognize absence seizures, which helps in terms of safety and monitoring the effectiveness of treatment. Absence seizures can go unnoticed. They can occur several times a day, and they rarely cause disruption, noise, or clearly obvious manifestations. Sometimes, a child may experience them for months before others begin to take notice. The person experiencing the seizure is usually not aware that it's happening. When you have an absence seizure, your consciousness is impaired, which means you're not aware of your surroundings or your movements. After the seizure, you will quickly resume awareness and continue what you were doing before it hit. If you observe someone having an absence seizure, it may seem like they're not paying attention to you. A child having them in a classroom can appear to be bored or daydreaming. A typical absence seizure manifests as a staring spell that can last between 10 and 30 seconds. Rapid blinking of the eyes or automatisms (purposeless movements), such as finger tapping or lip smacking may occur as well. Absence seizures are more noticeable if they occur during a physical task or while interacting with someone. Absence seizures are caused by abnormal electrical activity throughout the brain. This causes impairment of consciousness without causing jerking movements or physical convulsions. Doctors can't always figure out why a person develops this type of seizure, but in most cases, there's no genetic component. Most people who experience absence seizures don't experience other types of seizures. However, some people who have absence seizures may have a family history of epilepsy. Someone with absence seizures may have other medical conditions characterized by severe developmental delay. They may also have a medication-resistant form of epilepsy—such as Rett Syndrome, Lennox-Gastaut syndrome, and Dravet syndrome—that involves convulsive seizures as well as absence seizures. It's also common for them to have other medical conditions characterized by severe developmental delay, and/or a medication-resistant form of epilepsy, such as Rett Syndrome, Lennox-Gastaut syndrome, and Dravet syndrome, involve convulsive seizures as well as absence seizures. Absence seizures are usually first noticed among children between the ages of 4 and 8, but they can also begin during early adolescence. Parents, teachers, coaches or other adults who are familiar with childhood behavior and habits may recognize the episodes as seizures, rather than just simple "boredom." A medical evaluation can help confirm the diagnosis so that treatment can be initiated. Your child's doctor will begin by taking a careful medical history. Often, a brain MRI is needed to identify whether there is a lesion in the brain that could be causing the episodes. A temporal lobe lesion, for example, can cause temporal lobe seizures, which may also manifest with repetitive movements, and can be mistaken for absence seizures. 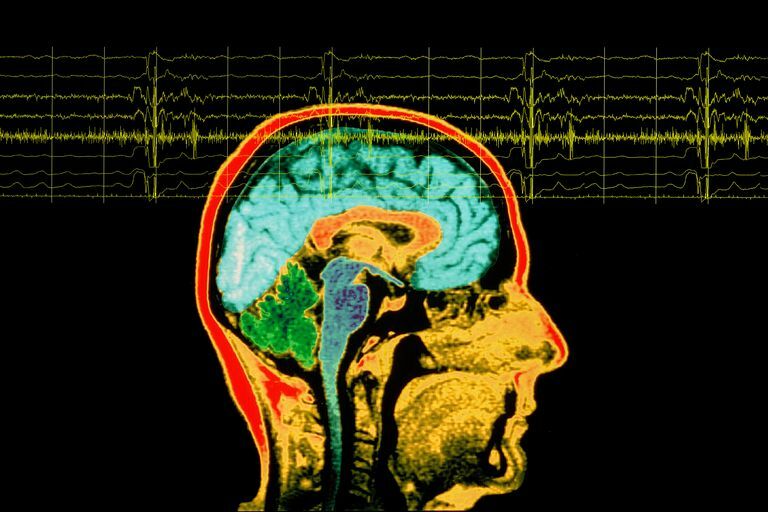 An electroencephalogram (EEG) will show a symmetrical 3 Hz spike and wave pattern. This is described as generalized seizure activity because it involves both sides of the brain, in contrast to focal seizure activity, which involves only one region. Often, the abnormalities on EEG can be elicited by hyperventilation, so your child may be asked to breathe rapidly during the EEG so that the pattern can emerge. Absence seizures are treated with specific anti-seizure medications. If your child has convulsive seizures along with absence seizures, they may require more than one anti-seizure drug. In addition to treatment, your child should avoid triggers that worsen the seizures or that are known to make them more frequent. Children with absence seizures can experience academic and social consequences and face safety concerns. You can address these issues pre-emptively with several strategies. Academic: Be sure that your child gets adequate sleep, food, and drink. Skipping meals and skimping on sleep, while very common for children and adolescents, can lead to seizures, which can lead to and missed classes and falling behind. Be sure to discuss your child's condition with teachers and see if your child can borrow notes or slides in order to stay on top of lessons. Social: Staring spells can cause your child to miss out on group conversations, or to blank out during interactions with others. Kids can be mean if they notice. Whether your child will discuss this with peers is a very individual decision based on the circumstances and the people involved. Safety: In general, absence seizures do not cause falls or injuries. However, if they happen while driving, swimming, or riding a bike, the loss of consciousness can cause an accident. Make sure that your child only participates in these activities if the seizures are well controlled. Absence seizures are typically a childhood condition. For children who do not have other types of seizures, absence seizures tend to stop on their own after adolescence. Often, children who have epilepsy characterized by multiple seizure types also experience a significant decrease in the absence seizure type after adolescence. Absence seizures are not usually harmful in an obvious way, but they can cause misunderstandings. Family members, teachers, coaches, and friends can become angry when a child who has absence seizures seems to be ignoring them or not responding appropriately. It's a challenge, and your child will benefit from your creating a loving and supportive family and social network. Berg AT, Levy SR, Testa FM, Blumenfeld H. Long-term seizure remission in childhood absence epilepsy: might initial treatment matter? Epilepsia. 2014 Apr;55(4):551-7. doi: 10.1111/epi.12551. Epub 2014 Feb 11. Danhofer P, Brázdil M, Ošlejšková H, Kuba R. Long-term seizure outcome in patients with juvenile absence epilepsy; a retrospective study in a tertiary referral center. Seizure. 2014 Jun;23(6):443-7. doi: 10.1016/j.seizure.2014.03.002. Epub 2014 Mar 12.